As you plan a tour of Kenya, Tanzania or Uganda, you might wonder what food you will find on your plate. What are the staple foodstuffs? Are vegetarians catered for during Uganda, Tanzania or Kenya tours? Enchanting Travels sheds light on east African cuisine, from the classic to the more unusual traditional food experiences. 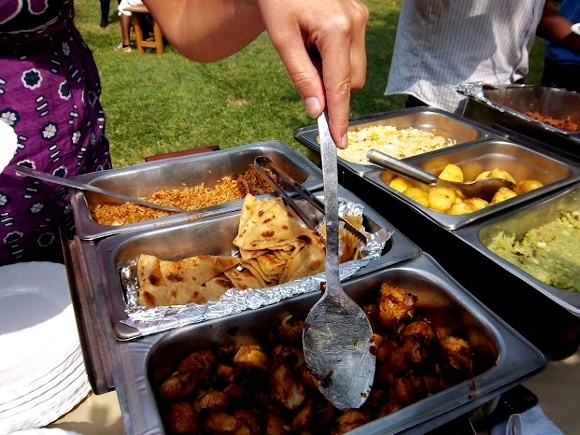 With a long history of colonialism East Africa has taken on cooking styles from around the world, whilst focusing on simple, staple foods that are very filling. Sweet potatoes, maize and cassava from Brazil were introduced when the Portuguese arrived in the mid-15th century. You’ll often find a porridge made from maize called ugali as an alternative to rice being served with stews. The mashed plantain dish of matoke is also a favorite. Common fruits such as bananas and pineapples are not native either. Why is meat such an important part of the diet in Kenya? Cattle herders known as the Hima migrated from north Africa in the 17th century. They introduced it to native tribal groups like the Maasai and Turkana who would use every aspect of the cow for nutrition. Today it’s an integral part of local cuisine, so prepare to see a lot of this during your Kenya tours. DESIGN MY EAST AFRICAN SAFARI! Did you know? Cow’s blood is very auspicious for the Masaai people, and has been historically drunk as part of rituals during special celebrations. Traditionally the blood is obtained by nicking the jugular vein in the cow’s neck and then tying a knot so it can act as a tap. Nyama choma, or roasted and seasoned meat, is a popular food in east Africa during celebrations such as Christmas and New Year and is also served as a sign of respect when guests visit. Typically goat, beef and mutton are the meats of preference, however even exotic meats are popular. You might think it odd to find chapattis for Sunday lunch in Tanzania – surely that’s an Indian flatbread made from wheat flour? After the British hired many thousands of Indian laborers during its rule in the 19th century many recipes from India found their way into the east African diet. Therefore you can expect the food to be salty and even spicy – and the chai (tea) is usually served sweet and milky, Indian-style! Githere perfectly sums up the colonial influence as it is made from corn, potatoes (brought in by the Europeans) and kidney beans. 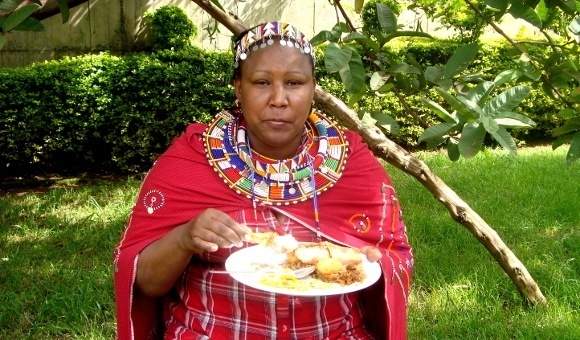 Other tribal groups in Kenya still make traditional dishes, such as irio, a ball of mashed up corn, potatoes, beans and greens that can be dipped into stews. During your Kenya tours, try the most popular everyday dish – cabbage stew. With just a few ingredients – oil, onion, chopped tomatoes, cabbage, carrots and some seasoning – it’s a very quick dish to make and is a delicious option for vegetarian guests! Top Tip: Try the semi-sweet donuts known as mandazi, usually served at breakfast. Be selective of where you eat to ensure you are not affected by the traveler’s bug. Whilst in-land food tends to be rather repetitive, the coastal, such as Zanzibar benefit from wider choice, in particular, seafood.